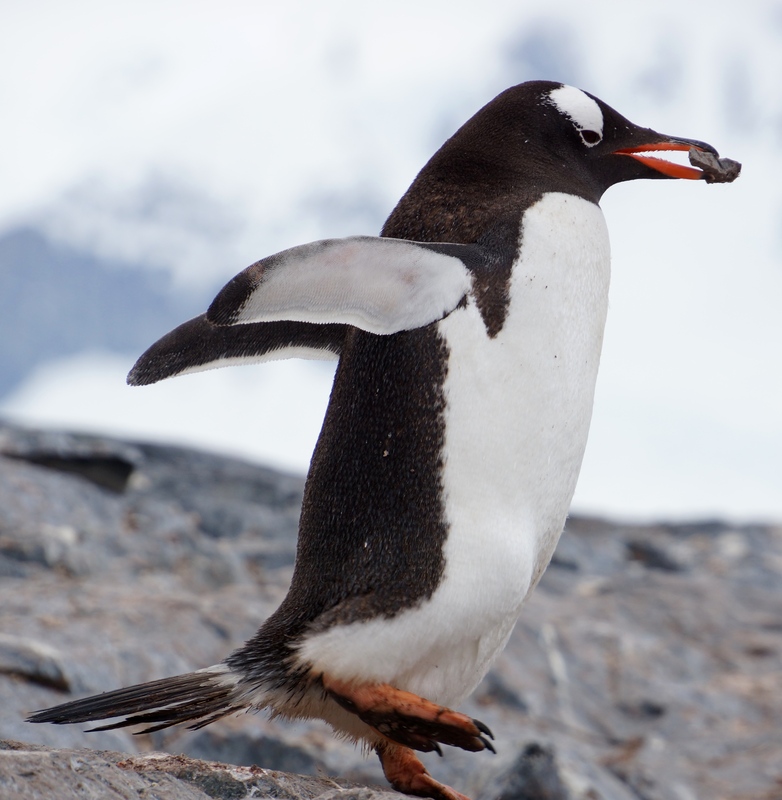 Gentoo penguin with a rock. Don’t interrupt; she is VERY BUSY. I guess by now most people are aware of penguin nesting behavior. 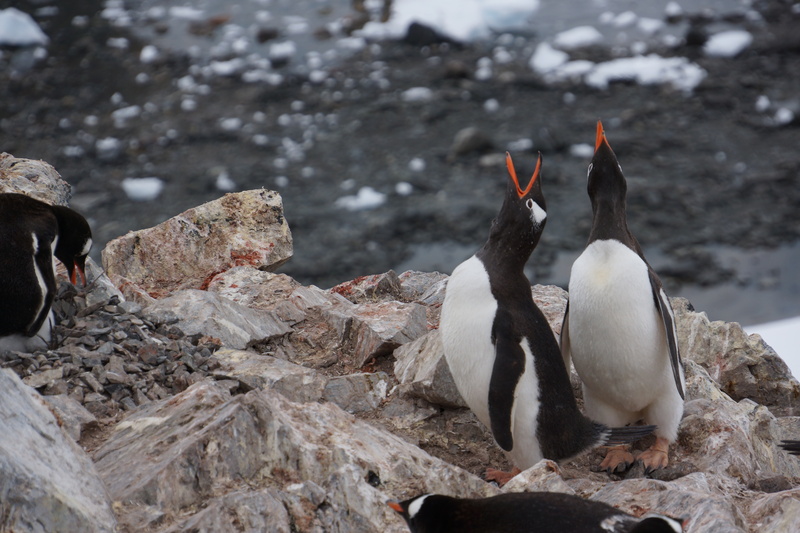 A lot of courtship behavior for some species of penguins, gentoos and chinstraps included, involves a (probable) male presenting a (probable) female with a rock or a pile of rocks. This will be the basis for a nest, on which the parents will take turns brooding the eggs and eventual chicks while the other feeds at sea and returns with food for the young. However, gentoo penguins don’t reach sexual maturity until they’re two years old, leaving them a year in which to either stay at sea and grow or, more hilariously, return to the rookeries and confuse the older and younger birds. Apparently young birds just do this sometimes, participate in the ritual of nest-building, act out their future nesting, with no actual mate or reproductive potential. It’s almost like kids and baby dolls, or… prom… or something. Next year, if she makes it through, Sylvia will return to this same beach and maybe even the same nesting site, find a partner, and start collecting pebbles all over again. How sweet. Sylvia and I aren’t what you would call friends, though. I’m more like her creepy stalker. We did make some good friends on the boat! 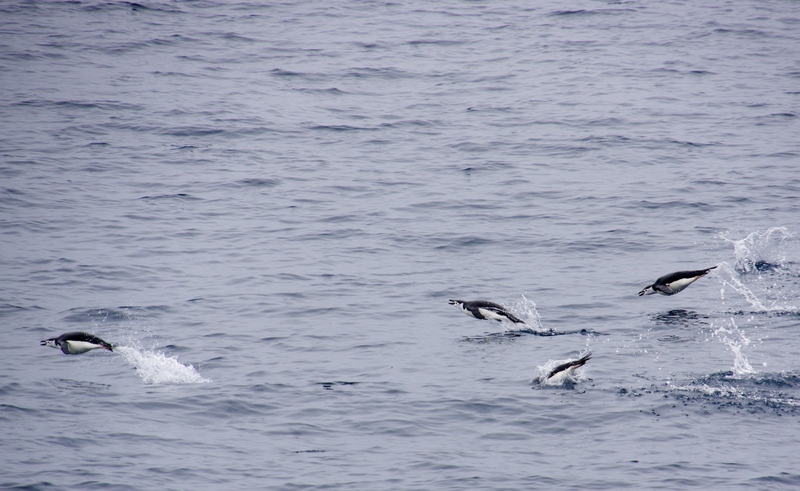 At this point in the trip, I’d started hanging around the naturalists as much as I could, collecting penguin facts and whale identifications along with career advice (do stuff!). We’d also had some very fun dinner conversations- a retired surgeon who traveled the world as a military doctor in his youth, a pair of business school professors with a talent for snarky humor and secret kindness, a high-powered business executive and her actor/director husband- and the dining room was starting to be as noisy as the colonies as each evening jokes were told and stories recounted. The Lindblad trips, with their partnership with National Geographic, attracted a really wonderful group of smart and motivated people, all of whom had life stories much longer and more interesting than mine. But that’s why I travel, and that’s why I love to learn! Someday I too will be interesting enough to listen to for hours at a time, whether it’s recounting whale facts or stories of my adventures as a Science Educator who changed the world. In the meantime, me and Sylvia will just keep building our little piles of rocks, piece by piece, and chasing after the bits that get away. A penguin colony is an overwhelming place. Sights, sounds, and smells abound, even from hundreds of feet away. The visual of thousands of nesting penguins all piled on the bare rocks is an impressive one, all black and white and pink from beaks and feet and krill-laden poop. The sound is even more aggressive: gentoos sound like donkeys braying when they reach their chests and beaks to the sky, and the lower-level muttering, squawking, and occasional hissing of aggression and defense amongst closely-packed penguin nests. And the smell… a combination of fish and a sort of sweaty salty odors, it clings to your clothes for days (forever? I haven’t found out yet when it goes entirely away…) and drifts down the rocky beaches until the sights and sounds fade away. Our trip first took us to the Antarctic Peninsula; this photo was taken on Cuverville Island, which lies at 64°41′S 62°38′W. It is, according to Wikipedia, a “dark, rocky island lying in Errera Channel between Arctowski Peninsula and the northern part of Rongé Island, off the west coast of Graham Land in Antarctica.” It’s also home to the largest gentoo colony on the Antarctic Peninsula, composed of over 6500 pairs of breeding birds. Double that number and account for chicks and juvenile birds, and you’ve got well over 15,000 penguins. They were everywhere. As IAATO (International Association of Antarctic Tour Operators) members, our expedition was logically and rightfully required to approach no closer than 15 feet to nests and the penguins themselves… but it was nearly impossible to keep said penguins from approaching us. There was nowhere to stand on the beach that wasn’t covered in penguin poop, traversed by busy birds moving to and from the water, or covered in penguins resting on their bellies (or all three at once!). As we stood in the clearest areas, they would pile up behind us like we were blocking a freeway, cocking their heads and craning their necks to see what the holdup was. When we moved out of their way, they would parade on past, wings held out behind them and stomping their feet like they were huffily making up for lost time. It was impossible, in some places, to stop and take a photo without feeling like we were totally in the way of penguin parents, who clearly had enough on their minds thank you very much, and just wanted to finish their commute and get home to the kids to put dinner on the table. Rush hour on the 101, for sure. 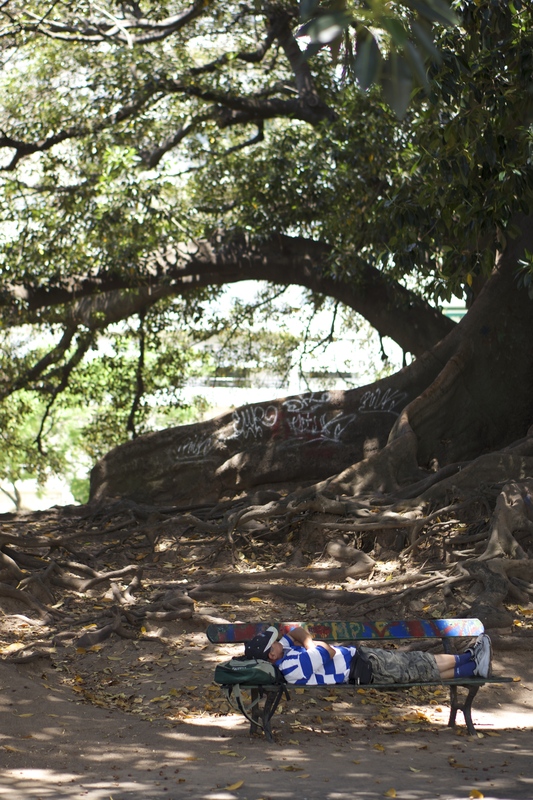 If we successfully found a spot to sit and wait, though, we were well-rewarded. 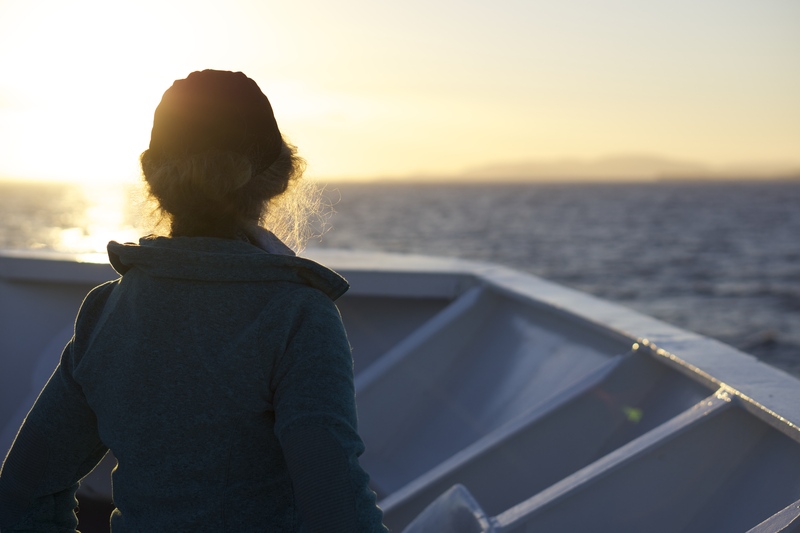 There could never be a boring moment on the island, sensory stimulation aplenty… and always the possibility that behind you something even more incredible was waiting to happen. Some of you may be aware that I really like whales. Like a lot. 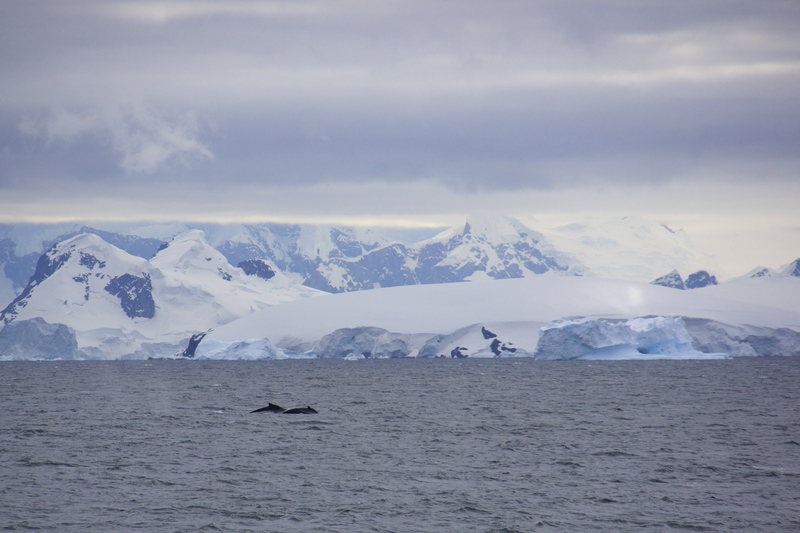 So a highlight of this trip to the Antarctic was definitely the opportunity to see lots of whales in an insanely productive feeding habitat, like this pair of humpbacks. 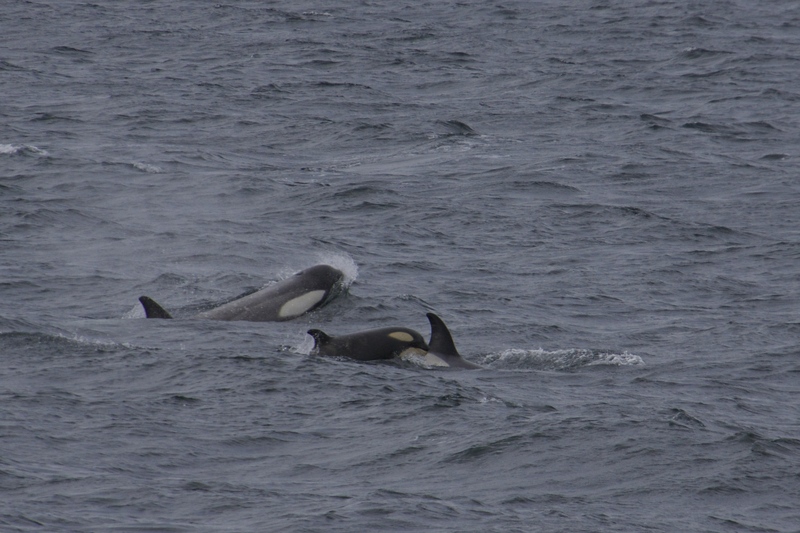 We were awoken by the announcement that the ship was surrounded by them as we cruised through the Gerlache Strait, gliding slowly over what was clearly a whale buffet- small groups of humpbacks were everywhere, weaving bubble nets and lunging up through the water in unison to engulf whatever small prey they had encountered that morning. Though they were far away, the scale of this remarkable event matched the frozen splendor of the landscape behind them. Our trip began in Buenos Aires, my first visit to South America. I really can’t claim to have “been there,” since our stop was perhaps twenty-four hours, but we got a little taste of the city. It was very European, actually, many of the buildings French in style, and much of the art in the museum imported from the Old World as well, which made it feel less interestingly new for me as a traveler. But it was summer, and sunny, and the city was beautiful. I got to practice my Spanish, and we got to spend one last night ashore before our transfer to Ushuaia the next day. The mood was chill and the word was “siesta.” Welcome to the adventure! Just wait till it heats up (…figuratively). Agent Red Squirrel has been remiss- I’m sorry for the disappearance! But I have good reason: things have been busy in my world recently. I relocated hemispheres once again, this time even further south than Exmouth, and I made it to a fifth and sixth continent. That’s right, after a very brief stopover in Buenos Aires, Argentina (South America), I headed for the Antarctic Peninsula on board the National Geographic Orion. It was my greatest adventure yet, scientifically fascinating, photographically exhilarating, and so much fun that it can’t be contained in a regular series of posts. For the next few weeks, I’ll be posting a single photo and an explanation thereof four times per week, about every other day, to tell the story of the Time I Went South.